I don’t know about you, but to be given an appetite-inducing box of chips and see this written on it just as you are about to open it is just……! One can either laugh or go HUH????! I laughed and opened it … to find that it was already partially consumed! 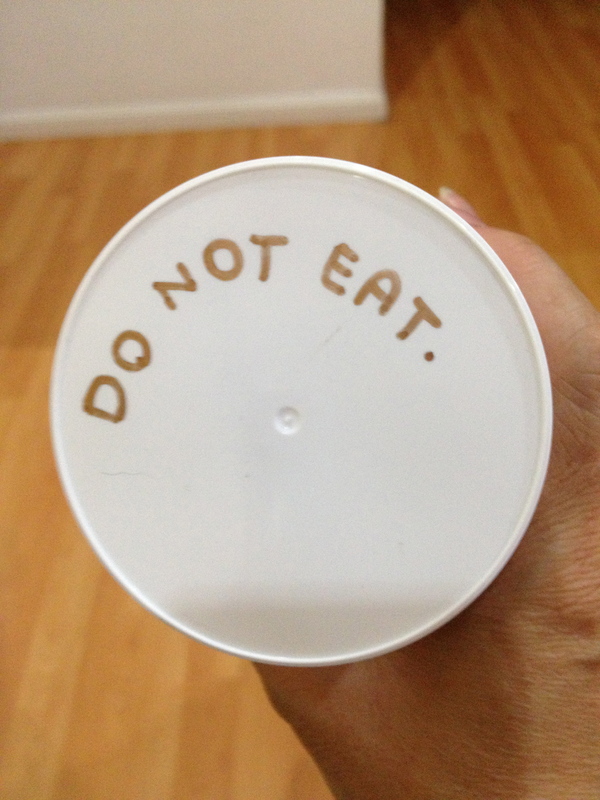 NO WONDER I was “forbidden” to eat it! This entry was posted on 28/04/2013 at 23:49 and is filed under Fun, Gastronomy. You can follow any responses to this entry through the RSS 2.0 feed. You can leave a response, or trackback from your own site.